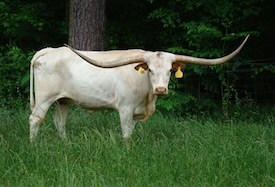 Grove Cattle Company LLC has been raising breeding stock, Texas Longhorns in Bailey, North Carolina since 1988. In recent years we have improved our genetic package through the use of Artificial Insemination (AI) and Embryo Transfer (ET). 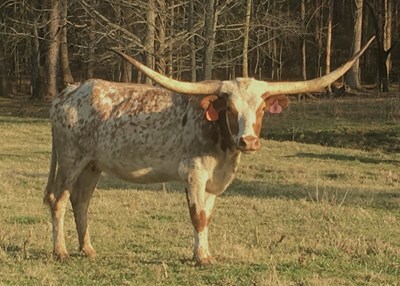 Registered Texas Longhorn bulls such as; JP RioGrande, TCC Houdini, Sledgehammer, Awesome Viagra, Cowboy Tuff Chex, Cowboy Catchit Chex, Fifty-Fifty BCB as well as our superior herd sires have all had a positive influence on our herd. Our clientele is as varied as the color patterns of our cattle. 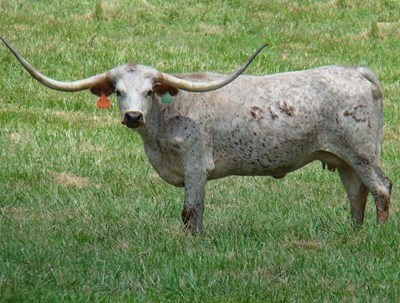 Whether you are looking for a few cows to get you started, powerful genetics to improve your existing herd, roping steers, or a piece of living history to help keep the grass down, we have the perfect animal to fit the bill. We are your home for big horns, big bodies, sweet dispositions, and plenty of color. If you don’t have room for your own Longhorns but have a desire to eat healthy, lean Longhorn beef is the answer. Our all natural lean beef is raised without the use of growth hormones, steroids, or unnecessary antibiotics. You will enjoy a diet of great taste as well as the tremendous nutritional value. Grove Cattle Company LLC is proud members of: International Texas Longhorn Association (ITLA - presently a seated board member), North East Texas Longhorn Association (NETLA – presently a seated board member), Texas Longhorn Breeders Association of America (TLBAA), Founding member of Texas Longhorn Cattle Association (TLCA), North Carolina Cattlemen’s Association, and Goodness Grows in North Carolina.